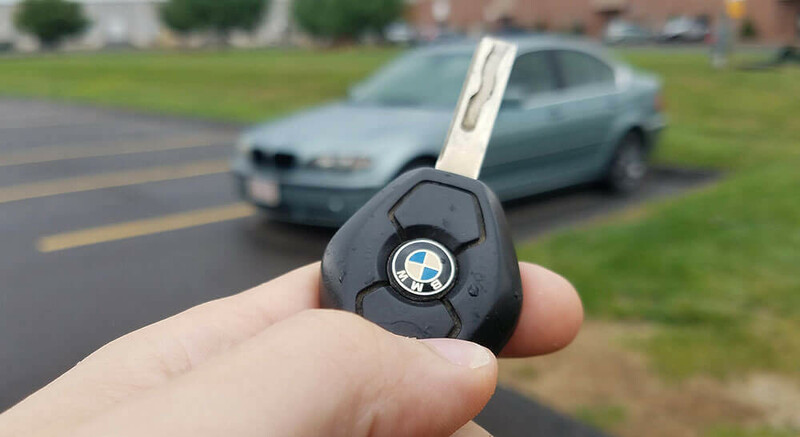 A broken or lost BMW car key can be a huge inconvenience. You will find that our mobile BMW car key replacement service can solve any issues. that you are face with. Whether your key has broken in the ignition, or you’ve lost your car key. Our trained and experienced technicians will be with you. You’re back on the road in no time at all! Which BMW Car Key Do You Own? Over the years, BMW have developed and used several types of remote keys. Below, we have examples of the keys that are most used. Which one is yours? Our unparalleled mobile service will have the latest equipment to remove it. and provide you with a new one. While you may be tempt to call your dealer. This is a long-winded, and often expensive way to have your BMW car keys replaced. Our mobile service is nonparallel in responsiveness and cost. We can also guarantee that we will carry out our BMW car key replacement on the spot, while you wait. It couldn’t be easier to arrange a visit to get new car keys or duplicate car keys for your vehicle. A member of our team will be happy to take your call, and to schedule a visit with you. What Do You Need To Know About BMW Car Keys? BMW cars manufactured after 1995 are equip with an immobilizer unit. Meaning the car cannot be switch on unless it recognizes the programmed transponder chip. BMWs have a few manufacturer nuances with the transponder chip that is program in the key fob. Our specialist technicians can fix this in no time. We urge all our customers to get a second spare key cut & programmed. In case their existing key is damage or lost, to save them time and money in the long run. The transponder chip in BMW car keys is a type of security measure. Which helps to prevent your car from being broke into and stolen through a copy of your key. Taking your BMW car keys to a dealer to be replace is more expensive and time consuming. As you may need to arrange your car to be tow. At Auto Locksmith San Francisco, we will replace your key on the spot, while you wait. This is what a BMW Key looks like on the inside, and it is just as comprehensive as it looks. You can see the remote buttons transponder chip, antenna transmitter, charging coil. That enable the battery to recharge, and other resistors and diodes. From the early days, until the F-series models. Most BMW vehicles were central locking remote operated. And these were seal for the battery to recharge for using the key. When the battery fails, a replacement key is must as the key is not serviceable. Here at Auto locksmith San Francisco, we can provide you with a solution. What BMW Car Key Services Do Locksmith Provide? If you have lost or broken your BMW car keys, and you’re in need of replacement. Then we can provide you with a brand new set in minutes, while you wait. No need to worry about towing your car to a dealer, or having to wait 10 working days to get back on the road again. We will come to you, as soon as you need us. If you have bought your BMW second hand, or for some other reason. You only have one key to start the engine and you need a spare, we can carry out quick and efficient car key duplication. It’s always more effective to have a duplicate of your BMW car key, in case one of them gets broken or lost in the future. If you have a BMW model that was manufacture after 1995, then your BMW car keys will have a transponder chip. Sometimes, this can become de synchronized, and will need expert, diagnostic equipment to get it working again. We can carry out this service, right where you are. If you’ve looked your keys inside your car, and need urgent access. We can provide you with a locksmith who can break into your car and retrieve them, without leaving a scratch. If your key has snapped, cracked or chipped, you may find that we can repair it rather than totally replace the set. Whether your key has become too worn to function property. Or it has a scratch that needs fixing, our technicians can repair it onsite. You may find yourself having problems with your door lock or ignition barrel, which may need fixing. Our technicians use the latest equipment to effectively repair car locks. And ignition barrels, at a lower cost than most garages. Next Next post: Can A Locksmith Make A Car Key Without The Original?